The list of homes doesn’t include those high-priced apartments in new condos under construction or planned, which will surely send the numbers even higher. 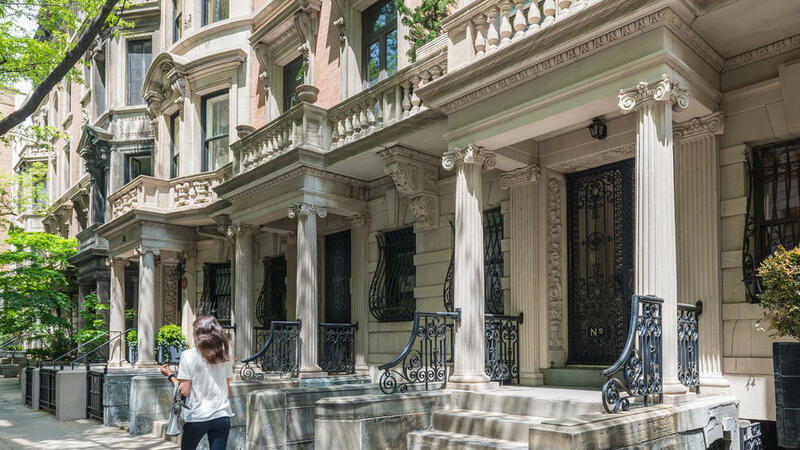 The Upper East Side has the highest concentration, with 1,907 residences on the list, including 48 valued at more than $25 million. It’s followed by Lincoln Square, the West Village, Soho, and Tribeca. Though 95 percent of the homes are in Manhattan, there are 242 in Brooklyn, 75 percent of which are in Brooklyn Heights and Cobble Hill. Eleven homes are in the Bronx, including six in Riverdale and Fieldston that are valued between $6 and $10 million. Of course the data also highlights addresses like 15 Central Park West that have an extremely dense concentration of multi-million-dollar homes (to be exact, 15 CPW contains 206 condos that together are valued at $3.1 billion). The Fiscal Policy Institute had reported that if the annual property tax on pied-à-terre owners of homes with market values of more than $5 million was raised to 4 percent, it would generate $650 million a year. But according to Geoffrey Propheter, an economist and tax expert who provided the analysis to the Journal, “If the tax were on all $5 million residences—rather than only pied-à-terres—it would raise at most about $380 million.” Proponents of the property-tax surcharge bill feel that this is still a significant amount of money to help with city needs like affordable housing.